Your new independent, locally owned and operated bookstore! How do I get my book in your store? How Can I Get My Book Listed on StoryontheSquare.com? How can I have an event at your store? Join us for our first Sweetly Southern Book Club Meeting! 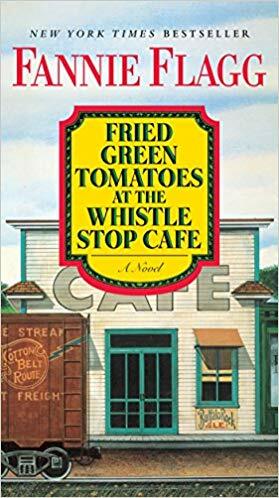 Folksy and fresh, endearing and affecting, Fried Green Tomatoes at the Whistle Stop Cafe is a now-classic novel about two women: Evelyn, who’s in the sad slump of middle age, and gray-headed Mrs. Threadgoode, who’s telling her life story. Her tale includes two more women—the irrepressibly daredevilish tomboy Idgie and her friend Ruth—who back in the thirties ran a little place in Whistle Stop, Alabama, offering good coffee, southern barbecue, and all kinds of love and laughter—even an occasional murder. And as the past unfolds, the present will never be quite the same again.